Avast often bundles their programs in one installer, so after the installation you may find several other programs that you don’t even recognize. The most annoying is that they give you a lot of pop-ups, and you’ll have to close them every five minutes. For reasons users have been seeking advises to remove Avast Free Antivirus 2019, but many have resulted in failures. Hopefully through reading this page, you can successfully work it out. 1. Close Avast Free Antivirus first. Stop the Avast programs from running in the background no matter what. It may not be necessary towards the removal of some programs, but just in case. 3. 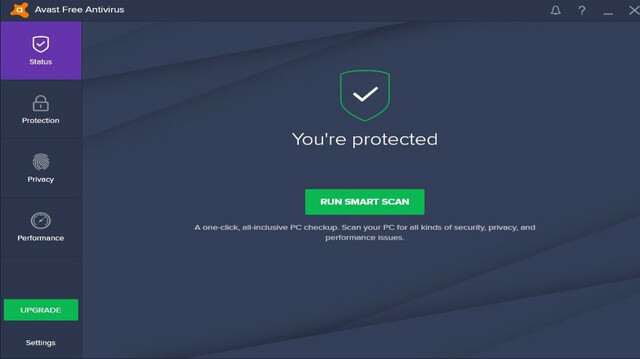 Remove Avast Free Antivirus 2019 via the Programs and Features. Click on Avast Free Antivirus > Uninstall or Double-click Avast Free Antivirus to activate its default uninstaller > confirm the removal > wait for the wizard to finish the process. Click Yes/Next button to continue, if you don’t want to reinstall the program, when being prompted with “Whether to keep your personal data,” just select No. 5. If you don’t want to reinstall the program, you can choose to remove its bundled programs including Google Chrome, by performing the above steps. 6. Open the Windows Registry Editor. 7. Delete the vestiges to completely Remove Avast Free Antivirus 2019. 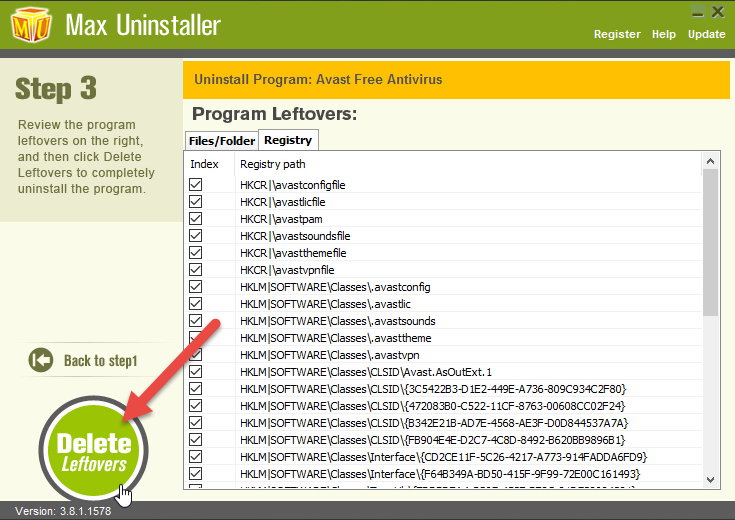 Before doing this, be sure you have uninstalled all the Avast programs via the Programs and Features. To check for other possible remaining entries, on the navigator select Edit > Find…, then enter “Avast Free Antivirus” to find the related file(s)/folder(s), right-click it(them) and click Delete to completely remove Avast Free Antivirus 2019 from your PC. Doing this will also remove all your personal settings on the program, just so you know. 8. Reboot your PC to take effect. Then check your system tray (right end of the taskbar) and Task Manager (hit Ctrl + Alt + Del to open), if Avast Free Antivirus is not there then the removal was successful. 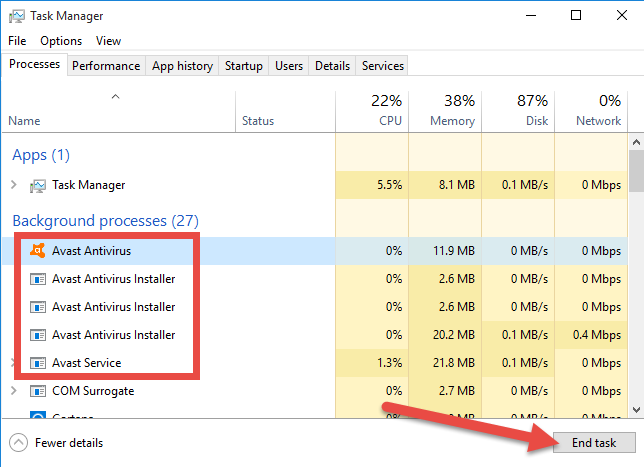 For any questions you want to ask about how to remove Avast Free Antivirus 2019 in Windows, just leave comments at the bottom of the page. 2. Double-click the desktop icon to open it, you will know what programs are currently installed on your PC. 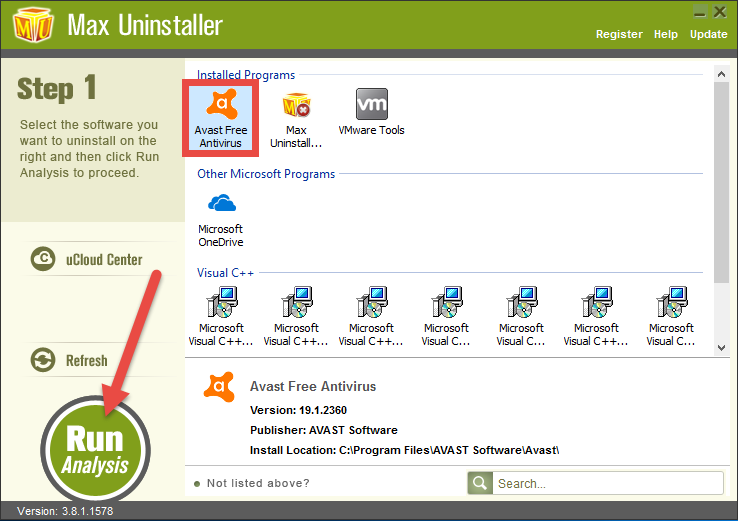 Find and select the Avast Free Antivirus icon, and click Run Analysis to scan all the related files. 4. 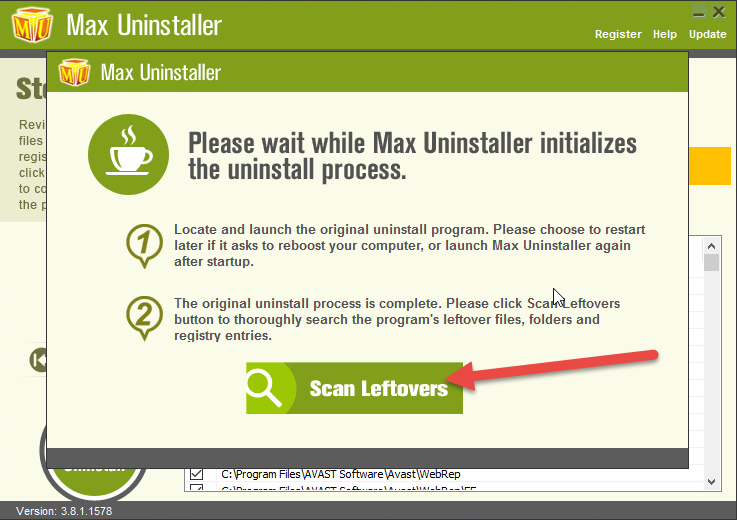 A window will show up telling you “Please wait while it initializes the uninstall process.”, after which click Scan Leftovers > and Delete Leftovers at last to completely remove Avast Free Antivirus 2019. If you don’t want to reinstall the program, you can choose to remove its bundled programs including Google Chrome, by performing the above steps.